Here at Pond House we have a room dedicated to staff training. 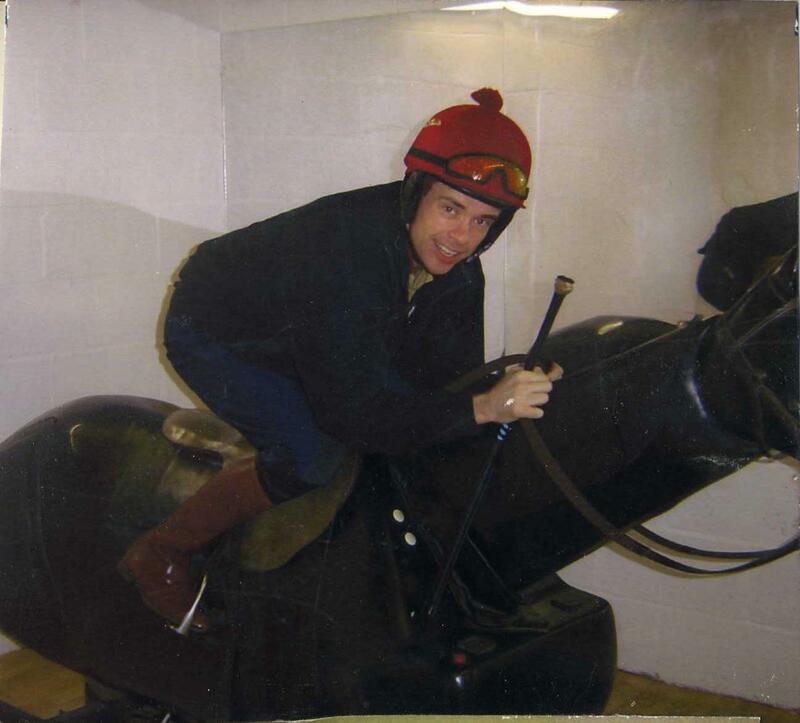 In this room we have a racehorse simulator, which is a vital training aid for our jockeys. 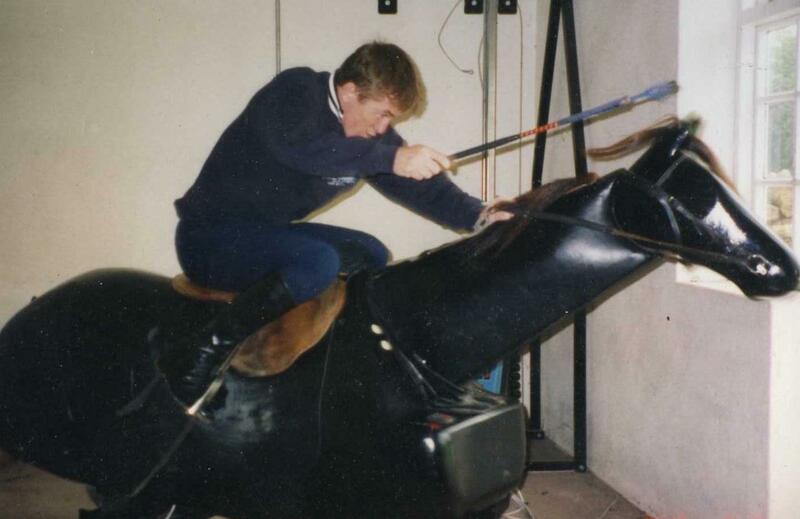 Whether they are up and coming young jockeys or seasoned professionals they can all be seen on this mechanical horse practising their finishing technique. 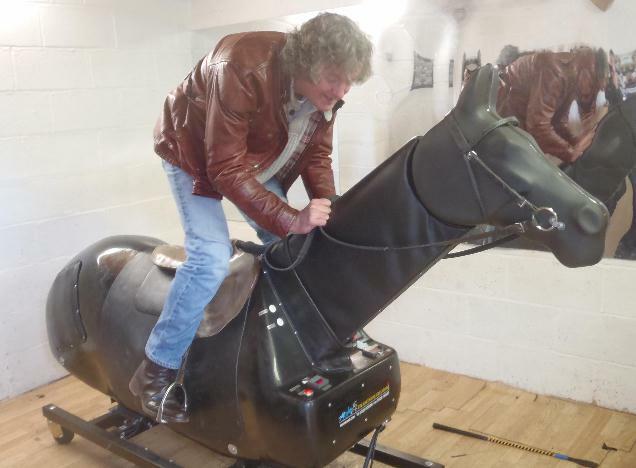 We have a mirror aligned with the horse so that as the jockey's ride they can watch themselves and correct any mistakes. 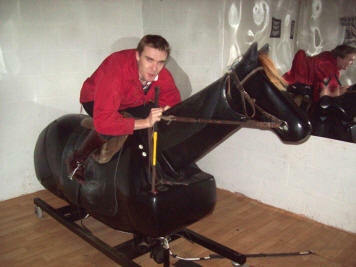 The simulator is good for balance and rhythm and it has a timer, which can be set to imitate a race. The horse's body is made from hardwearing polypropylene and is mounted on a strong steel frame. The quarters and shoulders have leather patches with sensors, which detect when the horse is struck in the correct place with the jockeys whip. They are alerted about their correct action by a buzzing sound. The body, neck and head all move in synchronisation which produces the same smooth flowing action of a galloping horse.